I was trying to capture the fog roll over the coast, but the clouds didn't rise high enough or maybe I was on the wrong spot. So I started to head home, and noticed this spot, I quickly pulled over, climb the hill and took this shot of folks going home. 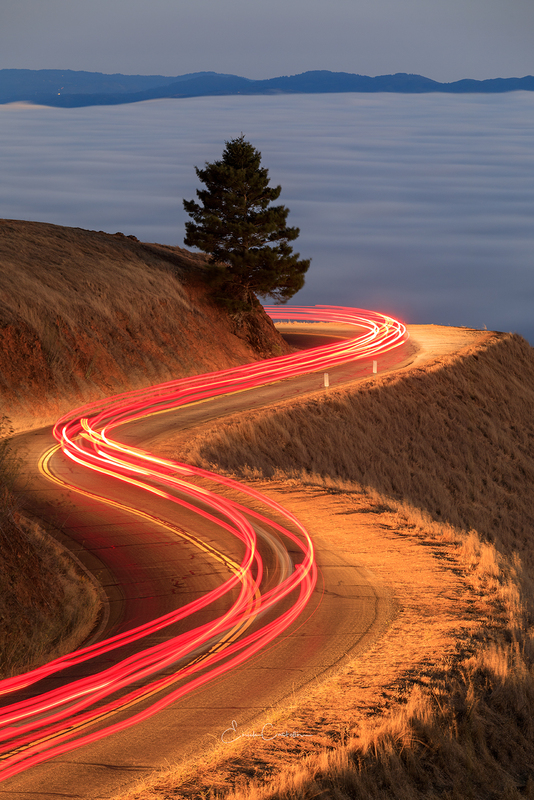 So even though I didn't get the shot I wanted, I was happy with the results on this long exposure shot of the car rear lights as they drove down the mountain.